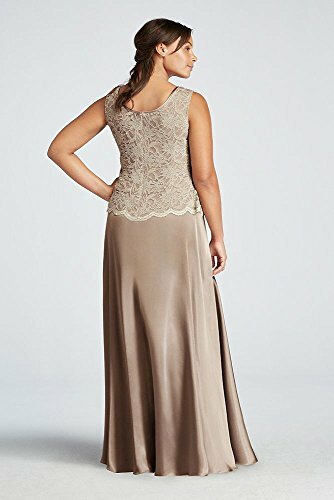 David's Bridal Plus Size Long Mock Three Piece Mother of Bride/Groom Dress Set with Pearl. Product prices and availability are accurate as of 2019-04-18 23:14:42 UTC and are subject to change. Any price and availability information displayed on http://www.amazon.com/ at the time of purchase will apply to the purchase of this product. 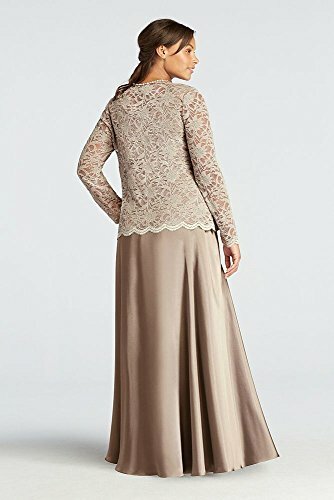 Classic modest look with a stylish flare, this mock three piece Mother of the Bride dress is ideal for any affair! 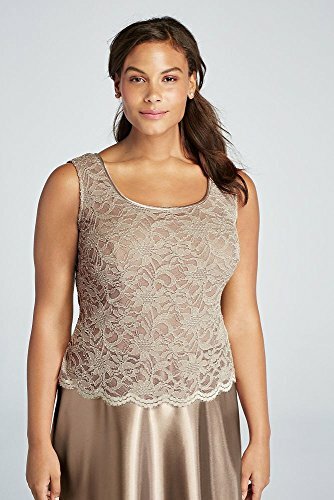 Sleeveless stretch lace bodice with long sleeve lace jacket that features a pearl and rhinestone necklace around the collar. 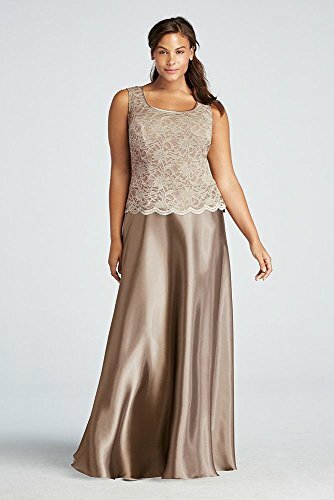 Long charmeuse A-line skirt is airy and comfortable. Designed by Cachet. Fully lined. Center back hook and eye. Imported nylon/polyester/spandex blend. Protect beads prior to cleaning. Designed by Cachet Perfect for the Mother of the Bride or the Mother of the Groom. This stunning silhouette is a stylish choice for any event or special occasion.